We Danes say ‘less is more' and that's true of our new Snap Pack, which uses glue dots to hold the cans together, avoiding the use of plastic rings. 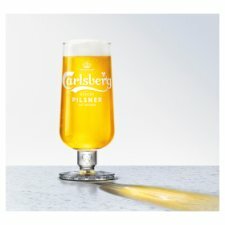 At Carlsberg, we're reducing the plastic we use for our Pilsner cans by 50% from brewery to store and our new Snap Pack is a big step forward towards that goal. Snap up a pack today.